In mid-October, about six weeks into the school year, I found out I was being assigned an additional class (the reasons why are complicated, so we will skip that part). A week or two later I found out that the class I would be assigned would be a creative writing elective. To say I was less than thrilled was an extreme understatement. Two months into the school year I would be teaching an elective class that the students in it did not elect to take, and most of whom would be turned off by the mere mention of the word writing, let alone a course with writing in its name. 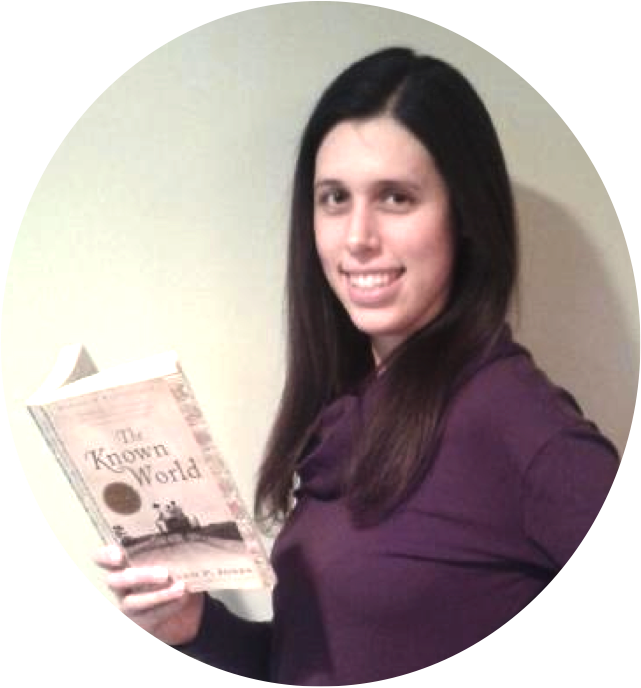 The students in the class would be a mix of 10th-12th graders, some of whom I taught previously, so I couldn't repeat any creative writing assignments I might have slipped into my regular English classes in the past. Sigh. I was even less thrilled when the resources I was given for teaching the class included a grammar textbook and a handbook to writing a research paper. Seriously?! 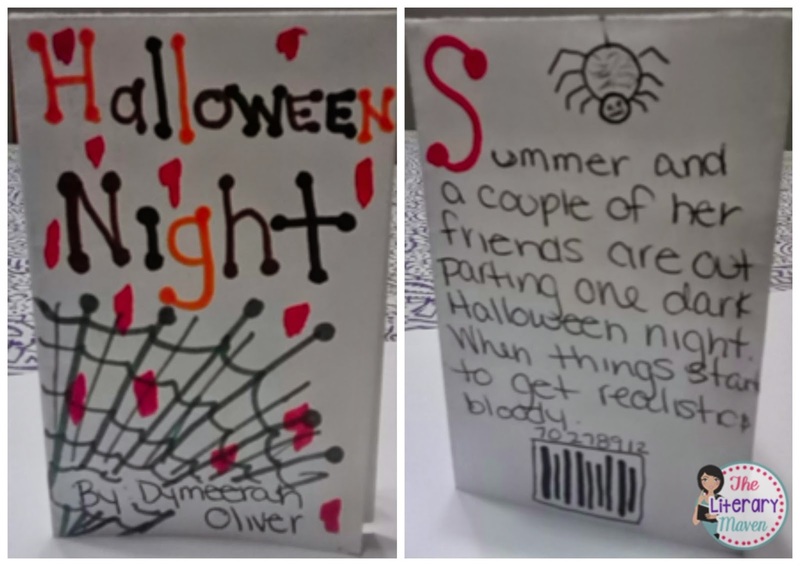 Since the class started right before Halloween, the first assignment I came up with was creating scary story mini-books. 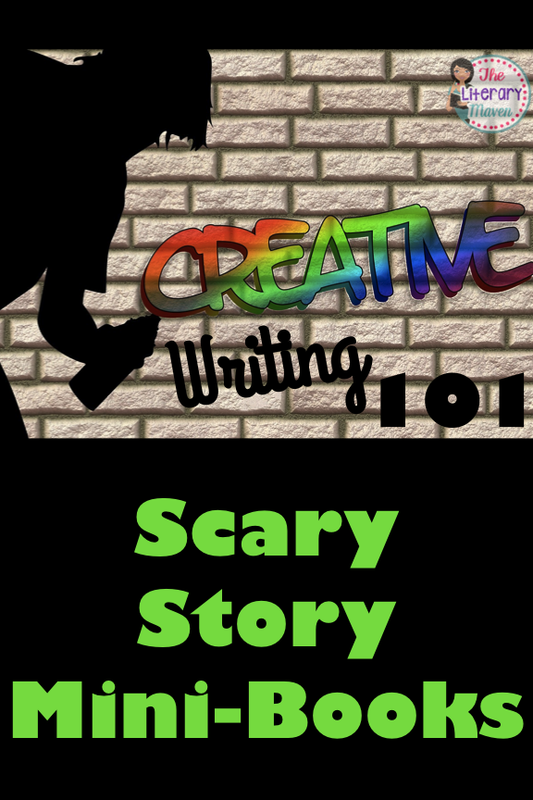 A hands-on activity with minimal writing, and what kid doesn't love scary stories? I used a plot diagram to help students plan their stories. Then I taught them how to make mini-books from a single sheet of paper. You can see step by step directions in this previous post. Then I gave them plenty of time to plan, write, and illustrate. While not the most rigorous first assignment, it was fun and helped me get to know my students a little better. 1. 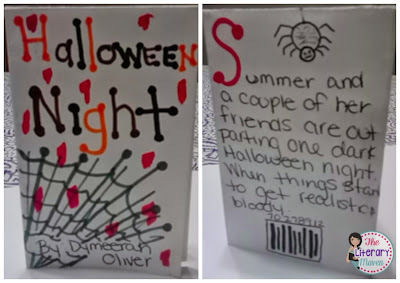 Challenge students to retell and illustrate a short story, novel, or play in just 6 pages (8 with front and back cover). Word choice will really be important in a limited amount of space, and students won't be able to go on and on and on as sometimes they do when summarizing plot. 2. Similarly, ask students to summarize a nonfiction text, pulling out just the 6 most important points. 3. Create an illustrated glossary of terms as part of note taking or to review for a quiz or test. 4. Write a prequel or sequel to a fiction piece. 5. 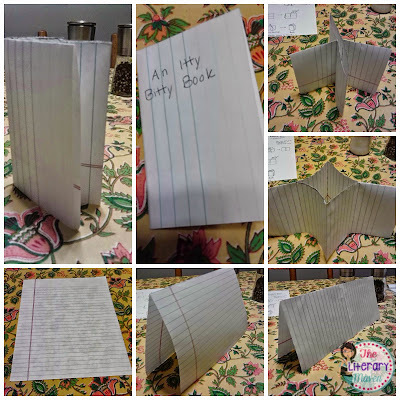 Write a children's book on a nonfiction topic synthesizing information from several sources. I always thought I would love teaching a creative writing elective, but not when it is something your students didn't choose to take, ugg. I will be posting about several other lessons that I did, so hopefully those will give you ideas too!